Last year this cool scratch built toy was just one of the ones on view at the Gateway Farm Toy Show! This year’s 32nd annual event will be heldFebruary 1-3, 2013 at the Sheraton Lakeside Chalet in St. Louis’s West Port Plaza. The Gateway Farm Toy Show is known worldwide for its farm toy auction, farm layouts and scratch built toys. 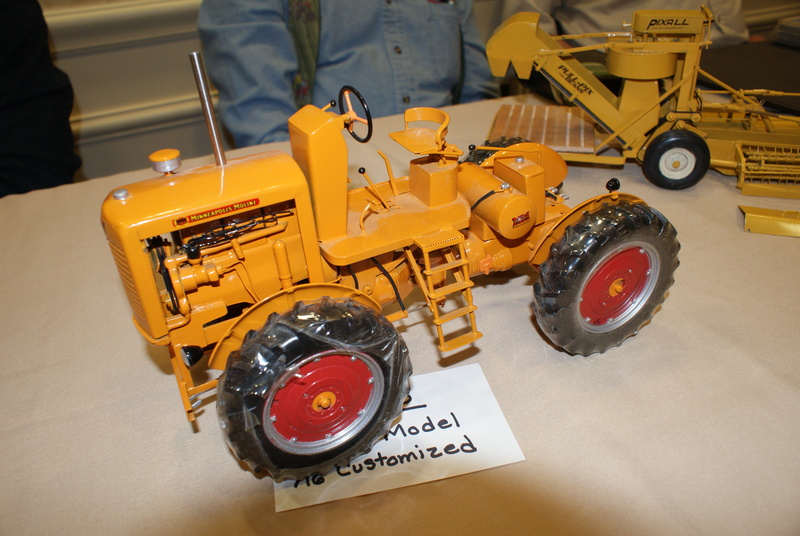 This show offers quality farm toys for sale and brings collectors together from all around the country, and in some cases all around the world! The show is hosted by Roy Lee Baker, a member of the National Farm Toy Hall of Fame, his wife Audrey and Faye Baker Knoche. I am very excited because this year on Saturday from 10:00 a.m. to 1:00 p.m. the Gateway Mid America Toy Show will host a book signing for the latest children’s farm book that my friend Jane Aumanns and I wrote. This is our third tractor-themed children’s book and is titled My Name is Huber: A Tractors Story. For anyone interested in the toy hobby, this show is a must visit! My son would love this….is it kid friendly, or is it an adults only type of show? Yes, this is a great event for a child if they enjoy farm toys. On Saturday there is especially a great time for kids if you think he would enjoy seeing the farm layouts (in the basement of the Sheraton) where kids and adults have created neat farm scenes.